Learn here the best secrets to refill HP 662 ink cartridges without damaging them, follow the steps below, and if you have any questions, just write a comment, I'll be here to help. The HP 662 ink cartridges are delicate and the most difficult to fill, the very simple ink cartridges and can print no more than 40 or 50 pages after being filled. 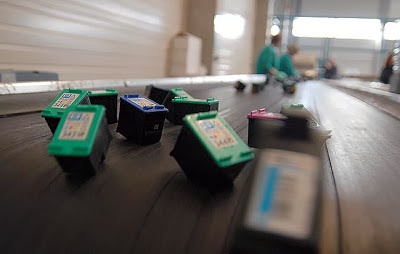 All ink cartridges need fluid important to dissipate the heat they receive from the connectors on the printer, this is how the cartridges work. These cartridges are manufactured only about 2 ml of ink, which is not much, even we can not put more than 5 when we fill, because they are low on ink sponge inside them is not very large. But there is a way to get the maximum performance without damaging them fast, then a list of tips that will help conserve these cartridges for a long time. The first thing is to know how many pages can be printed, as mentioned above, the cartridge factory pays only about 120 pages, is considered filled when you can only print about 50 and a maximum of 60 pages, note when reaching this amount should start thinking about filling it. Everything in this publication is to round the amount of ink that supports the cartridge, so it is recommended not to print multiple consecutive pages, for example when needed to print about 20 pages do five to five. When making recharging cartridges, do not touch the sensitive parts of the cartridges, mostly injectors (bottom), and connectors (front, points), the minimum footprint lint or residue from your fingers can affect recognition. Make everything possible to get pigmented to fill the black cartridges inks, it is normal to get ink water-based, but the black cartridge particular cartridge requires putting based inks pigment is an ink with more dye is supplied in small amounts and pays more than the ordinary ink is used only to fill black ink cartridges HP of this type. 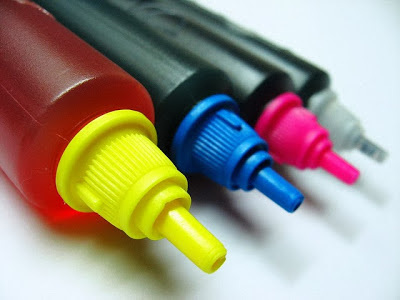 When refilling ink cartridges, open the door giving access to the cartridges, just when these are placed in the center, unplug the power cord electricity, thus the printer can not identify when you place the cartridge back and as if you have not removed the cartridge from the printer. Put the cartridge back into the printer before connecting the power power cord, you can read a bit more about this process in our publication to reset this ink cartridge. If you know any other method or need help regarding this publication, write a comment gladly help, even if it solves your problem, in this way we will improve our publications.